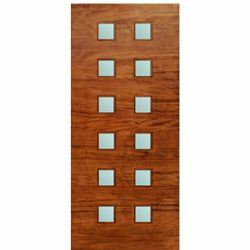 One of the most popular looks today is the mid-century modern design and architecture. 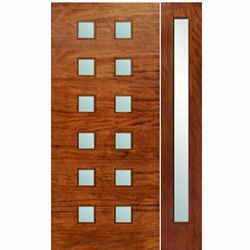 The design that started in the early-20th-century is recognized by its organic influences, simple forms and emphasis on functionality. 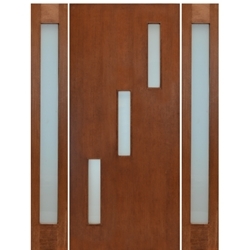 Mid-century entry doors play vital part in this architecture as they are the focal point of the home. 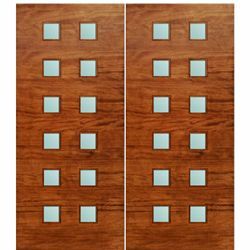 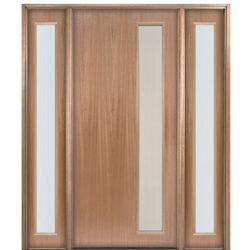 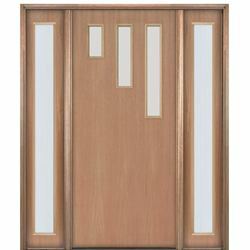 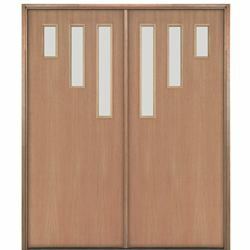 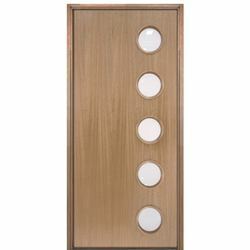 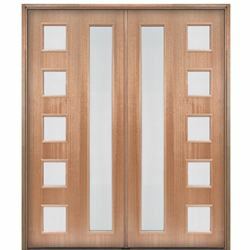 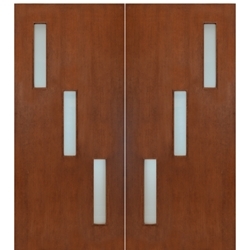 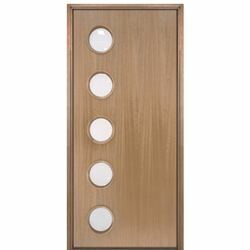 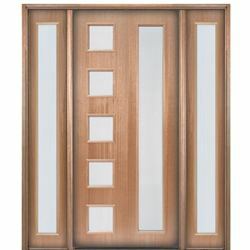 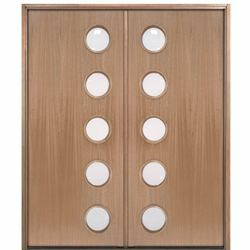 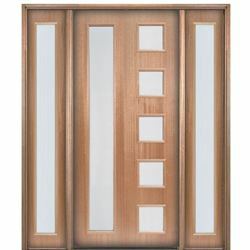 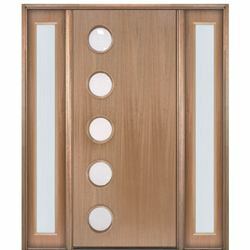 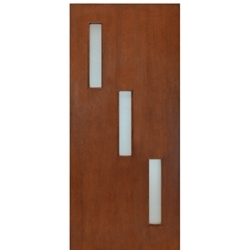 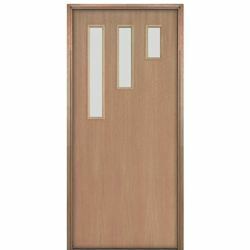 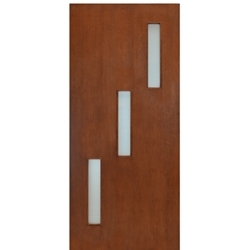 Mid-century wood doors are typically made of a flush door and glass panels with raised molding around the glass panels. 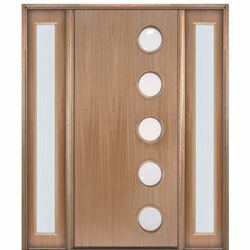 The glass panels are typically square, rectangular or round in various patterns. 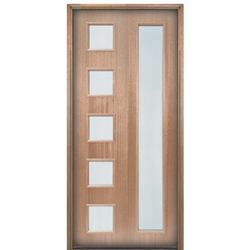 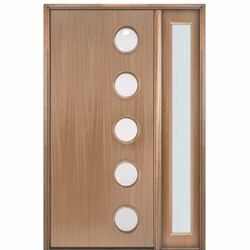 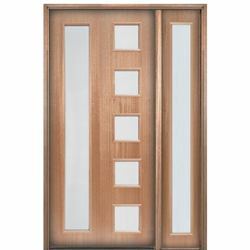 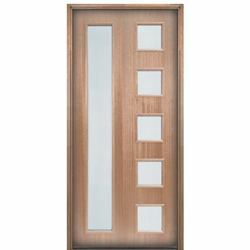 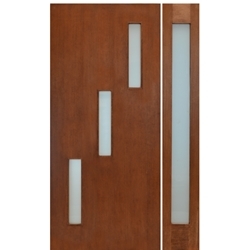 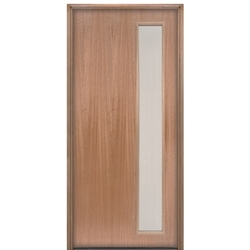 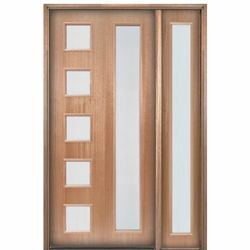 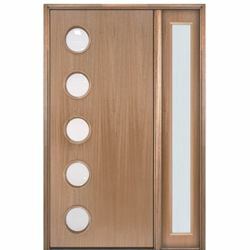 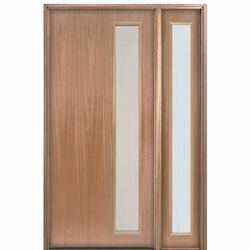 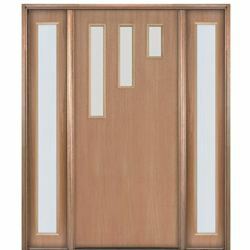 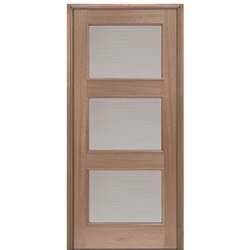 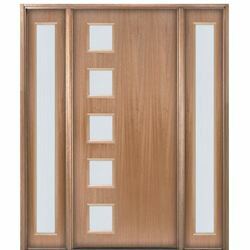 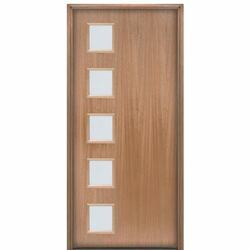 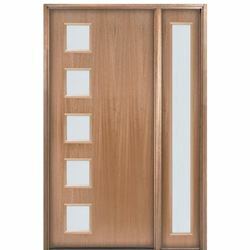 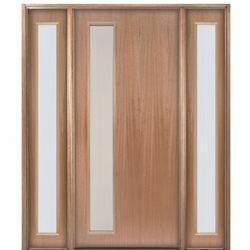 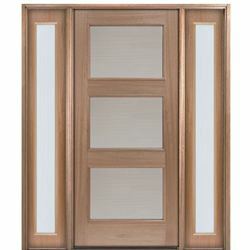 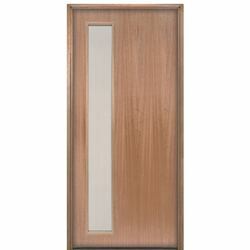 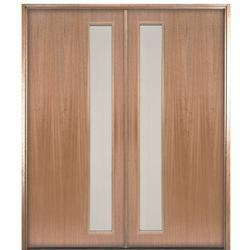 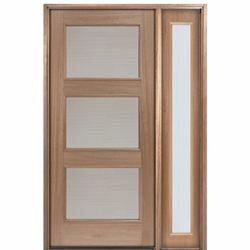 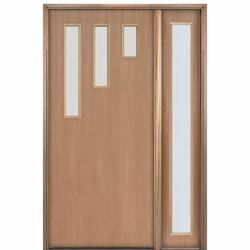 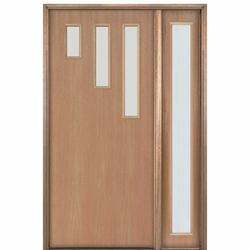 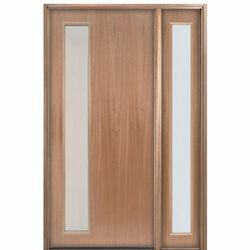 Typical glass options with our mid-century modern doors are clear glass, reeded glass or frosted glass. 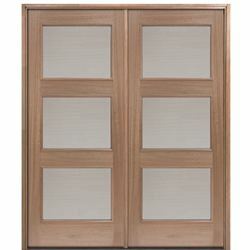 All glass options are tempered and insulated. 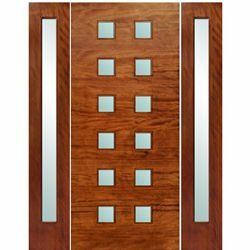 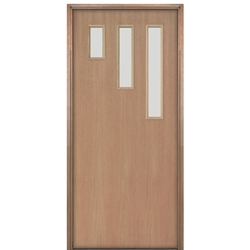 Our wood mid-century wood doors are made of Mahogany wood that nicely complement the clean and simple look typical to this style.